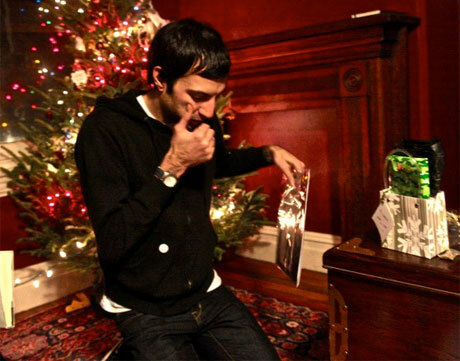 Justin Benoit, best known to music fans as a onetime member of Cold Cave, has passed away. His age and cause of death are unconfirmed as of press time, but this sad news come from Cold Cave leader Wesley Eisold, who revealed Benoit's passing on Facebook. Friends, It saddens me to have to tell you of the tragic passing of Justin "Chachi" Benoit. As many of you know we lived together in my Philadelphia house, and he continued to live there until his passing. He was my friend and band member. He was a genius with impeccable taste. He loved his family, his friends, the Fall and when he would see broken umbrellas on the street. We love him and miss him dearly. Rest In Peace. Please let's be respectful of everyone's privacy to grieve. Benoit previously played in Cold Cave's live incarnation, and Pitchfork notes that he performed on Stars Explode, the band's split tape with Prurient, which came out in 2010 through Hospital Productions. He was also an author and poet. An online listing reveals that he had done readings as recently as last year.